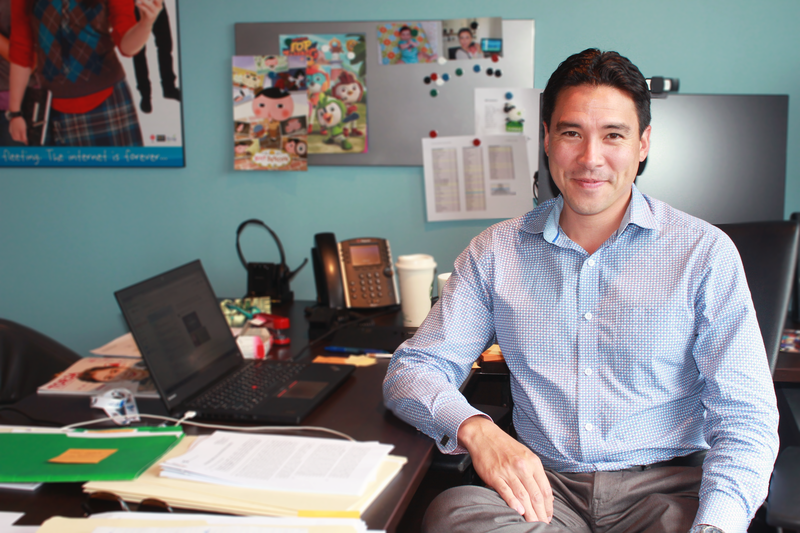 Meet Chris Hope, the newest member to 9 Story’s legal team. 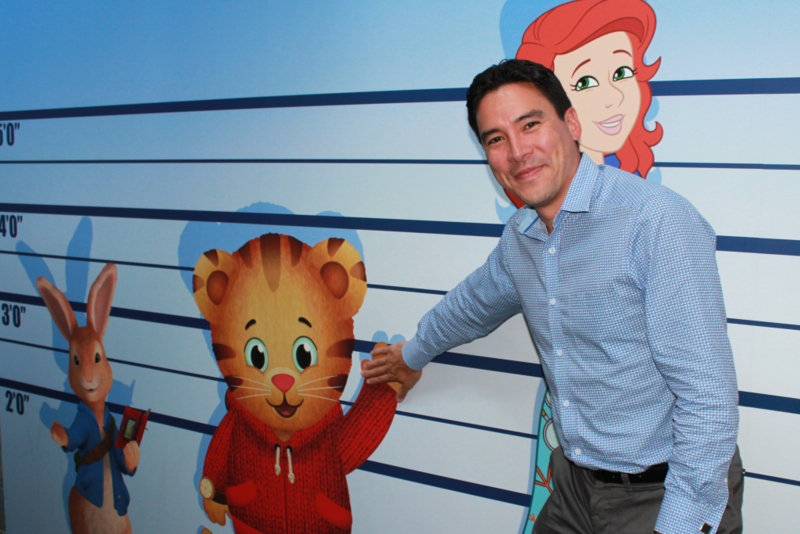 We recently spoke to him about what exactly his job entails and what he likes to do in his spare time. We discovered that on top of his work with us, Chris is also the co-chair of the Toronto Anime Festival! 1. First up, what is your life motto or favourite quote? 2. What is your role at at 9 Story? What does it involve? Senior Legal Counsel, providing business and legal support across the business. The wide scope of responsibilities and interacting with teams working in multiple disciplines. No two days are the same. 4. What skills are required in your position on a daily basis? Attention to detail and an openness to learn. The ability to deliver great customer service is a big one too, because being able to provide good advice hinges on open communication and candor, which ultimately comes from relationships built on trust. Which makes me sound vaguely like I’m selling financial services at a bank, but it’s true. 5. What is your origins story? Aka, how did you get to where you are today in your career? I’ve worked from Bay Street to Wall Street, but I’ve always maintained a connection with the world of production. I’m passionate about the art of storytelling, which I find applies as equally to practicing law (really!) as it does to assisting with the creation of storytelling-based content. In the last few years I produced and directed a documentary called Hatsumi about my grandmother’s experiences during the WW2 internment of Japanese Canadians, then a documentary on a group of famous but unknown Los Angeles-based 1960’s session musicians called The Wrecking Crew. Lately I’ve been helping out with the production of a film tentatively titled The Three Tooners – Drawing Silly Pictures for a Living, documenting the story of three of the original animators at Hanna Barbera – Tony Benedict, Jerry Eisenberg and Willie Ito. I love the fact that a lot of the foundations for what is now the multibillion-dollar global animation industry can be traced back to the work processes that were established in the 1960’s; the project is a tribute to the pioneers of the industry. Documenting The Three Tooners – with legendary animator Willie Ito in his home studio. My career path has given me a great appreciation for now being able to work with the very talented 9 Story team in a position that blends so many interesting elements of life! 6. Who are your biggest influences or inspirations? I mentioned the film project about my grandmother. In 1942, 23,000 people of Japanese racial origin (18,000 of whom were Canadian citizens) were labelled by the Government of Canada as “enemy aliens”. All of their property was confiscated, families were separated and they were forced into camps. My grandmother was one of them. She was born in Vancouver. Completely Canadian. 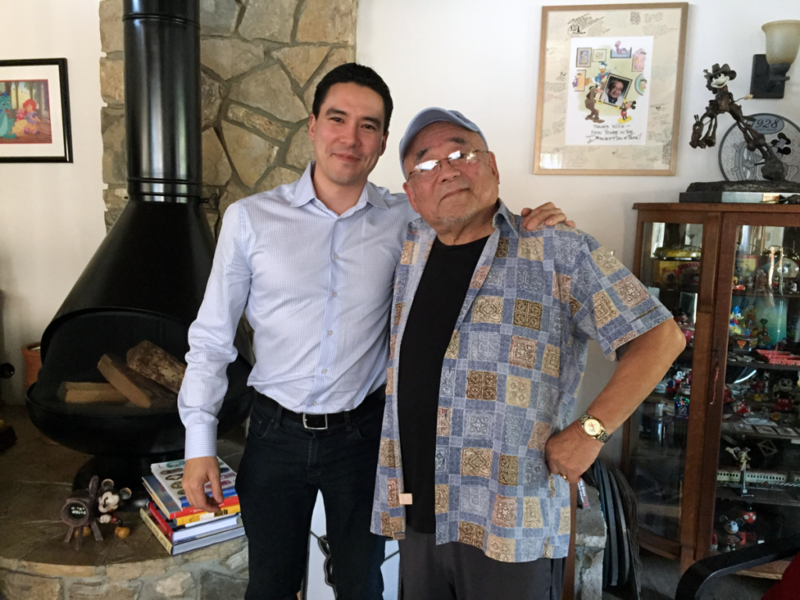 I knew that my grandmother had been through the internment, but she would never discuss it. I asked her about it for years to no avail. I finally presented her with a proposal, hoping to appeal to her desire to travel. On the eve of her 80th birthday, I told her that I would take her to all of the locations of her pre-War life if she would do her best to tell me the whole story about her internment experience on camera. Parts of her story were very difficult, but she persevered. As a result of her willingness to discuss her experiences, instead of studying the internment through statistics, a new generation of Canadian students is watching my grandmother’s first-hand account in the form of Hatsumi, which has been added to the curriculum of a large number of school boards across the country. Learning about what my grandparents went through as a result of WW2 and how they dealt with it really moved me. Their resilience and their quiet determination not to allow that sad chapter in Canada’s history taint their overwhelmingly positive vision of Canada is a source of inspiration for me every day. 7. What parts of your job do you find most challenging? By far, that would be keeping up with technological changes in the industry and the business structures that have followed them. The most disruptive technologies to effect the majority of people’s lives in the past two decades have almost all landed in the media sphere. In the entertainment industry, just when we thought things we relatively stable in terms of the platforms that exist for the licensing of media content, our business deal structures are radically changing as platforms quickly evolve into full-fledged production partners and studios. The whole industry is trying to figure out how those relationships will work and to predict the revenue flows as we work through the deals. It’s a bit wild west, but because of that it’s fun. Particularly when we get our predictions right. 8. What is it like working as a lawyer in an animation studio? This place is like walking into a kaleidoscope of creativity, and creative people are a lot of fun to be around. Corporate work environments… generally, not so much. 9. You are also the co-founder of the Toronto Anime festival! Can you explain what’s involved in that role and what the festival covers? 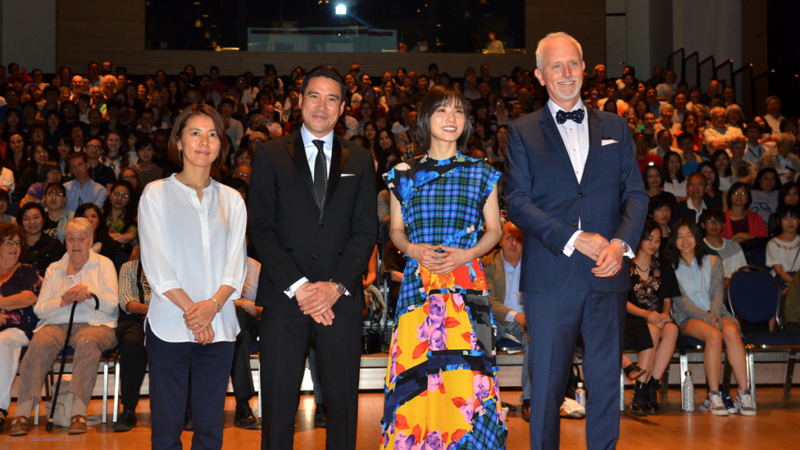 The Toronto Anime Festival is an offshoot of the larger Toronto Japanese Film Festival (TJFF), that I co-founded seven years ago at the Japanese Canadian Cultural Centre. TJFF has grown into the highest grossing Japanese-language film festival outside of Japan, and for the last couple of years our audience has been asking us to program more anime. There’s so much great material available, we decided to create a whole event to celebrate anime specifically, including cultural, food-related and musical elements. The idea is to allow the audience to experience anime culture as they would in Japan, but without the jet-lag! We also decided to feature some classic anime in the line-up as well to give festival-goers a rare chance to experience the films on a big screen with an audience. This is the first year for the anime festival. We’ll see how it goes! 10. When and how did you become interested in Anime? I have fond memories of being glued to the TV set for episodes of G-Force and Force Five, a long, long time ago. It was so different than anything else out there. 11. If you were an animated character what would you look like? 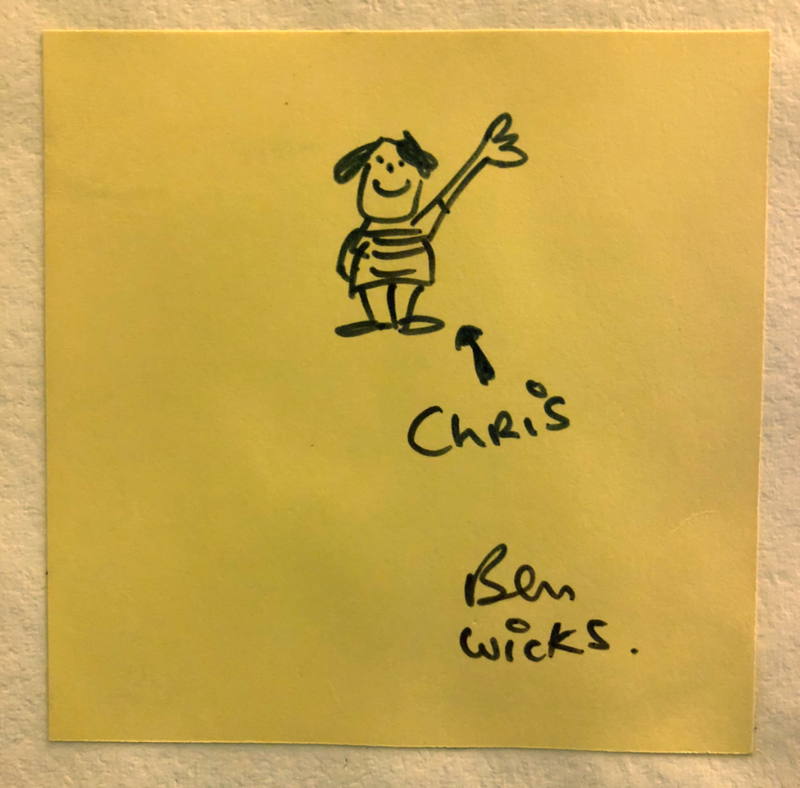 My favourite post-it note – a souvenir from cartoonist Ben Wicks.